The Armenian “Armath” engineering laboratories, established in Armenia with the support of Ucom, will be also established in the Indian schools as a pilot project. On this occasion an agreement was signed between Karen Vardanyan, Executive Director of the UITE and Rama Luthra, Executive Director of Lexicon PR Management Service during the World Congress on Information Technologies (WCIT) officially started at Hyderabad, India, on February 19. Moreover, Aleksandr Yesayan, Business Development Director at Ucom, was elected by the World Information Technology and Services Alliance-WITSA as a Board member of WISTA. As far as in a couple of days Armenia will take up the baton to hold the WCIT in Armenia next year, currently underway in India, A. Yesayan presented the progress of preparatory works carried out in this relation. “Just imagine for a moment that the world ITT gurus, nowadays “Stevejobses” will one day be in Armenia! Imagine the scope of investments we can attract, imagine how we can animate our business environment, what an important role Armenia can assume as an interface between the West and the EAEU countries and Iran, how the international rating of Armenia will increase!” said Aleksandr Yesayan. “Ucom emphasizes the importance of every action taken towards animating the ITT sphere and is greatly inspired by licensing the concept of “Armath” laboratories. 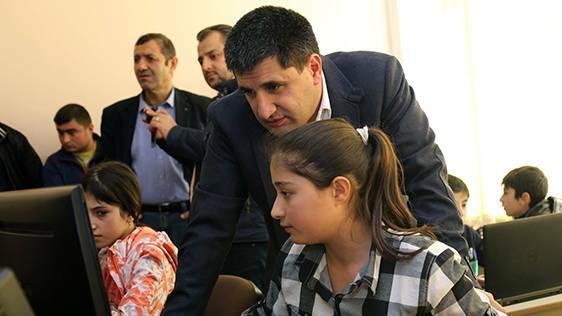 Not only the concept of getting engineering education from the age of 10 will be exported from Armenia, but also the Armenian equipment, such as 3D printers, drilling machines, separate components intended for robotics, etc.,” detailed Hayk Yesayan, Director General at Ucom.